MEN'S standard length is 60" on dishdashas. All measurements above are actual garment measurements. For a good fit please add 2-3 inches to your chest and waist measurement when selecting your size from the table above. Please ensure you measure yourself correctly before selecting your size to avoid errors. 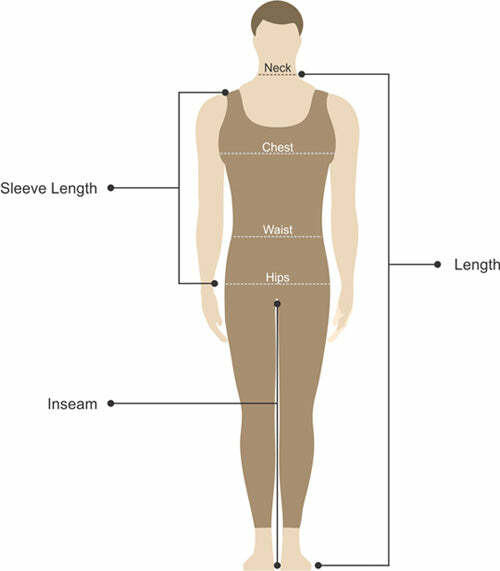 Length is from high point shoulder to desired length. For men's Kurta (Tunic) it's 48 inches. Machine wash cold with like colors, tumble dry. Use warm iron, do not overheat.